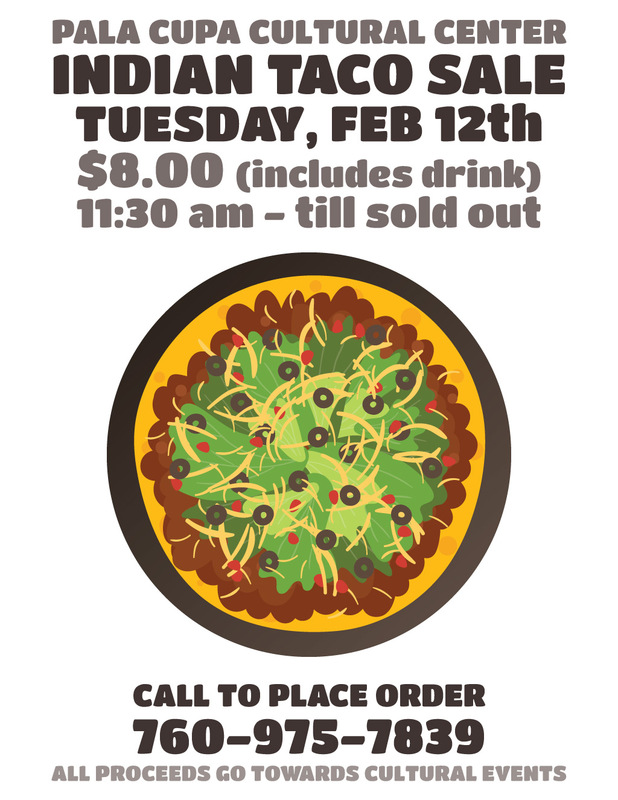 The Cupa Cultural Center announces the Indian Taco Sale Fundraiser which will take place on Tuesday, February 12, 2019, starting at 11:30 a.m. (until sold out) at the Cupa Cultural Center Grounds. All proceeds go towards cultural events. Call to place an order: 760-975-7839.